FEMA Open House | She speaks. Yet another FEMA Open House . . . This one will take place on July 16 at the Middletown Senior Center, Leonardo, from 2 to 8 p.m.
What a shocker. And they say the FEMA issue isn’t a political one. 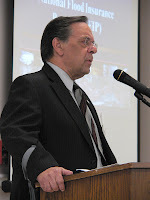 I attended the FEMA Open House on Friday, June 13. It was . . . impactful, to say the least. Representatives from the Federal Emergency Management Agency, U.S. Army Corps of Engineers and N.J. Department of Environmental Protection were there, as well as representatives from the engineering firms that assisted in the mapping process. Rep. Frank Pallone was there, too. Some residents left the open house very happy, as they learned they were not in a flood zone, (some missing by only hairlines). Others were rather upset and disgruntled, as FEMA rep Paul Weberg and I agreed they had every right to be. The problem is that no one was given direct answers. FEMA took the same spiel it always has during the past few months. Questions were posed, answers were skirted. Residents wouldn’t be any less upset. In fact, I think they’d be even angrier. But ultimately, I think they might respect the agency more for being honest. The truth, while often raw, is a powerful thing. However, this does not change the fact that the re-evaluation of the flood maps was mandated by Congress several years ago, before Katrina even happened. It makes me wonder to no end, though, why FEMA did not inform the Army Corps about its new standards. Then maybe the Corps could have spent its time developing projects that would make a difference and affect a community’s rating (Community Rating System, FEMO jargon). The entire situation, no matter what angle you take, comes back to money. It costs money for the Army Corps to replenish beaches. It costs money for FEMA to implement new flood maps. Insurance policies cost money. Disasters cost money. I’m just very glad FEMA came to the Bayshore again, although I’m not sure all that much will come of it. Pallone did say his office wanted to follow up in a meaningful way, and I certainly hope his legislation is recognized and passed in Congress. The maps have entered the appeals process as of June 11. Guess what? That costs money, too, if you want to appeal effectively. On the other hand, it’s effective putting faces to the problem. And let me tell you, there is never a shortage of passion in the Bayshore. I’m glad FEMA was able to see that. While most FEMA reps claimed they understand the risk and just want to make sure residents do, too, I don’t think they quite grasp the gravity of reality. Not just yet. For extended coverage of the FEMA Open House, pick up the June 19 issue of The Courier. 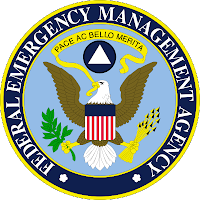 The long-awaited Federal Emergency Management Agency (FEMA, what’s that again?) Open House will be held today starting at 2 p.m.
Head on over to the Bayshore Senior Center in Keansburg, on Main Street. FEMA officials and representatives from the U.S. Army Corps of Engineers will address residents’ concerns one-on-one. 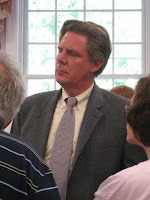 Rep. Frank Pallone, D-N.J. will also be attending, as will other elected officials (assumably, as some have made it a point to keep up with this issue). I’m looking forward to seeing residents voice their concerns. I’m also looking forward to FEMA’s “formal presentation” around 6 p.m. I wonder if it’ll be anything I haven’t heard yet. I just received a press release from Barbara Lynch, the Federal Emergency Management (FEMA) Region II External Affairs Specialist. I’m interested to see how this process is going to pan out in the Bayshore. My guess is that the fun will really kick off this Friday during the FEMA Open House. NEW YORK – June 9 – Monmouth County residents and local community officials who want to challenge the new flood zone designation will have 90 days from June 11 to submit their appeals, state and federal officials announced Friday. Details about the risk for flooding as reflected on the new digital flood maps, the map appeal process, the flood insurance program and other information will be provided at the countywide Open House to be held June 13 at the Bayshore Senior Center in Keansburg, officials said. 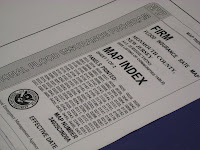 National Flood Insurance Program (NFIP) and Map Modernization information is also available at the FEMA Web site, http://www.fema.gov. To appeal the new, preliminary digital maps, local officials and residents must submit technical or scientific data pertaining to the proposed Base Flood Elevations. A Base Flood Elevation (BFE) is the projected level water is anticipated to rise in a flood that has a one percent chance of happening in any given year. Individual homeowners who think there may be a problem with the Base Flood Elevation as shown on the new map should contact local officials who may have technical data that could assist them with this process. Factors that could be considered in an appeal include such things as storm water management systems, drainage systems, culverts or hydraulic analysis. The new digital flood maps are the result of a 2003 Congressional mandate known as “Map Modernization,” which will ultimately update the nation’s flood maps for 92 percent of the country’s population. FEMA coordinates the federal government’s role in preparing for, responding to and recovering from all domestic disasters, whether natural or man made, including acts of terrorism. Assemblywoman Amy Handlin, R-District 13, is featured online in an article by Jim McConville of The Asbury Park Press. I’m beginning to think Amy should just go work for FEMA, considering she’s so “concerned” about the way the agency operates. I also think Handlin is doing residents a disservice by criticizing the agency who is willing to help. Albeit, it took a few weeks. But, as Rep. Frank Pallone Jr., D-N.J., said, these things take time. Then again, she’s just trying to buy more time for her petition that FEMA representatives have said several times is nothing more than a collection of signatures. And only about 1,300 signatures at that. I guess Handlin has a screening process, considering there are at least 4,300 new residences affected by the updated Flood Insurance Rate Maps (FIRMs), including about 1,800 in both Keansburg and Middletown, respectively. Handlin thinks the meeting would be better suited for Middletown. Of course she would, she has screaming authority there. Being the meeting is in Keansburg, the assemblywoman has no platform, therefore no say. Also no respect, in my opinion. Overall, another sad attempt by Amy Handlin to take the public’s eyes away from the fact that Pallone has done something good for the Bayshore. His efforts, as well as other pieces of legislation supported by senators Robert Menendez and Frank Lautenberg, both D-N.J., are the actions that will truly affect the area. As to having a “series” of these meetings: What do you want, FEMA for breakfast, lunch and dinner? Take a chill pill, the meetings are going to come. And if not, I’m sure every Monmouth County resident can rest assured knowing AMY HANDLIN will bug the brains out of FEMA until the agency shows up. Actually, the agency’s door has been open for the past few weeks. Wide open, really. I’ve been able to call FEMA on an almost-daily basis and speak to an actual person. And, get this: I’ve had my questions answered. Maybe Handlin hasn’t done enough? Or maybe FEMA officials aren’t returning her calls? Gee, where have I heard that story before. I just received this press release from Barbara Lynch, who works in the Federal Emergency Management Agency’s external affairs office. NEW YORK – May 29 – Monmouth County residents are invited to review the county’s new, preliminary flood maps at an “open house” to be held at the Bayshore Senior Center on Friday, June 13. The meeting is being hosted by the New Jersey Department of Environmental Protection (NJDEP) and the Federal Emergency Management Agency (FEMA), which developed the new maps in conjunction with Monmouth County flood plain managers and local officials. From 2 p.m. to 6 p.m., residents will be able to check their property’s risk for flooding on the new maps, find out what type of data is necessary for a successful appeal of their flood zone designation, and get information on the National Flood Insurance Program, state and federal officials said. At 6 p.m. there will be a formal presentation on the Map Modernization process, a five year, $1 billion initiative mandated by Congress to provide new digitized maps for 92 percent of the country. This presentation will also include a background on the Global Positioning Systems (GPS) mapping technology used to develop the new community maps. The Bayshore Senior Center is at 100 Main St., Keansburg, N.J.
Rep. Frank Pallone, D-N.J., said he would be attending the open house, as did U.S. Army Corps of Engineers officials.